AT WEST COAST MACHANE KAYITZ! COLORS - BLUE AND YELLOW! Shevet Galim (Hebrew for “the troop of the waves”), is San Diego’s Israel scouts troop – an exceptional program for Jewish youths. 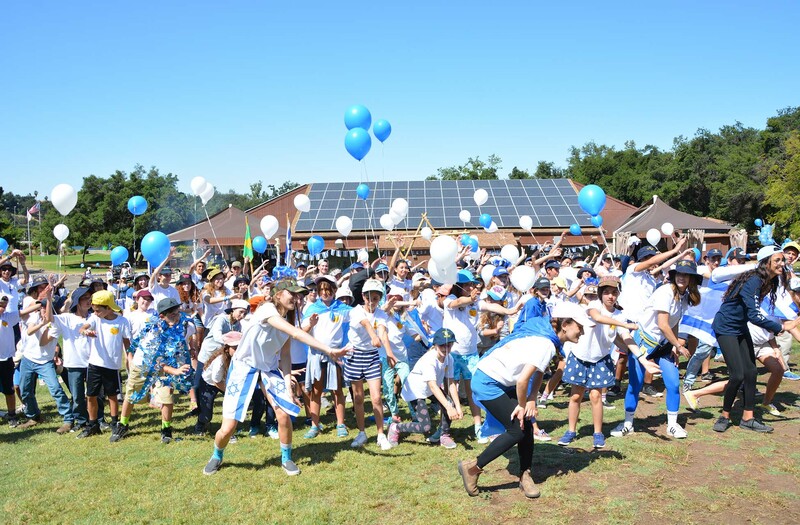 We provide a positive social and learning environment where they share a connection to Israel and Hebrew, enjoy fun and formative activities, grow as individuals, engage with the broader Jewish and San Diego communities, develop life and leadership skills and emerge as counselors and leaders. In short, we believe that we are nurturing the future of our Jewish community. Shevet Galim is a member of the Friends of Israel Scouts, Inc., a non-profit 501(c)3 organization. Our membership includes children ages 7 – 18 (grades 2-12) and our shevet (troop) currently serves over 140 families and over 200 children.